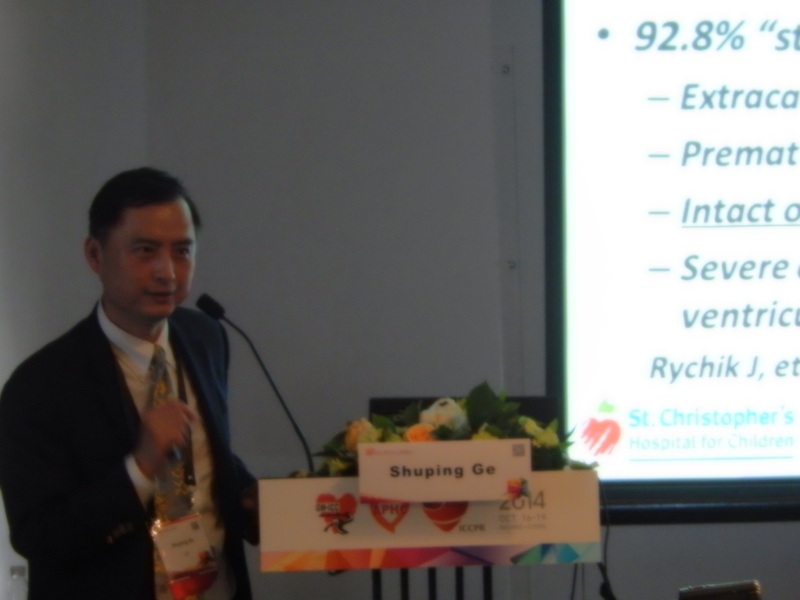 Invited session chair of CAAC delegation to the 25th GW-ICC (长城国际心脏病学会议), Dr. Hong Wang (CAAC research president), is chairing the CAAC-GWICC research forum of “Basic and Translational Cardiology （心血管基础与转化医学论坛)”on October 17, 2014 at the China National Convention Center in Beijing, China. 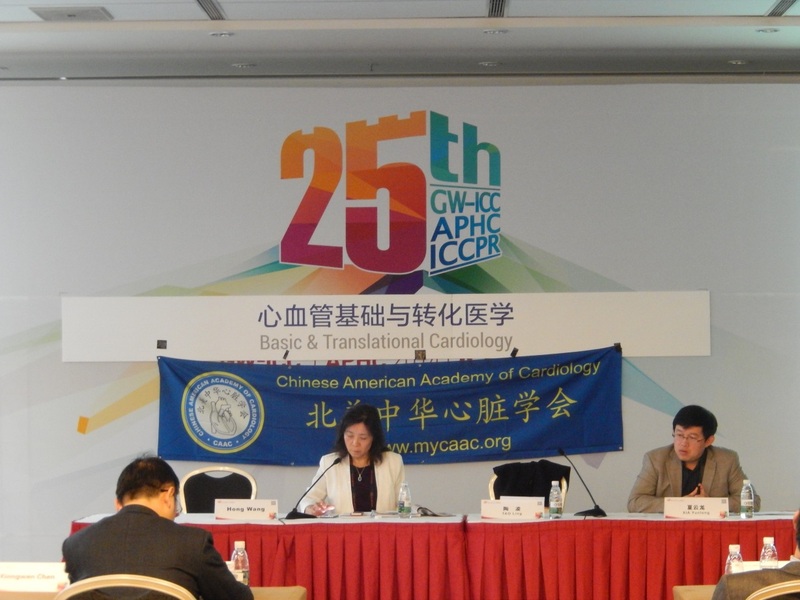 Invited session chair of CAAC delegation to the 25th GW-ICC (长城国际心脏病学会议), Dr. Hong Wang (CAAC research president), is chairing the CAAC-GWICC research forum “Basic and Translational Cardiology （心血管基础与转化医学论坛）” on October 17, 2014 at the China National Convention Center in Beijing, China. 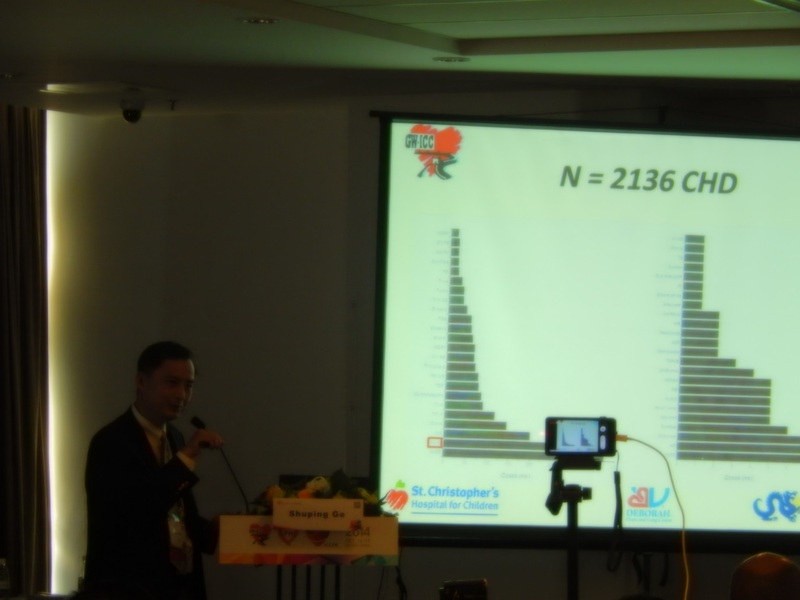 Invited session chair of CAAC delegation to the 25th GW-ICC (长城国际心脏病学会议), Dr. Hong Wang (CAAC research president), is giving a lecture at the CAAC-GWICC research forum “Basic and Translational Cardiology （心血管基础与转化医学论坛）” on October 17, 2014 at the China National Convention Center in Beijing, China. 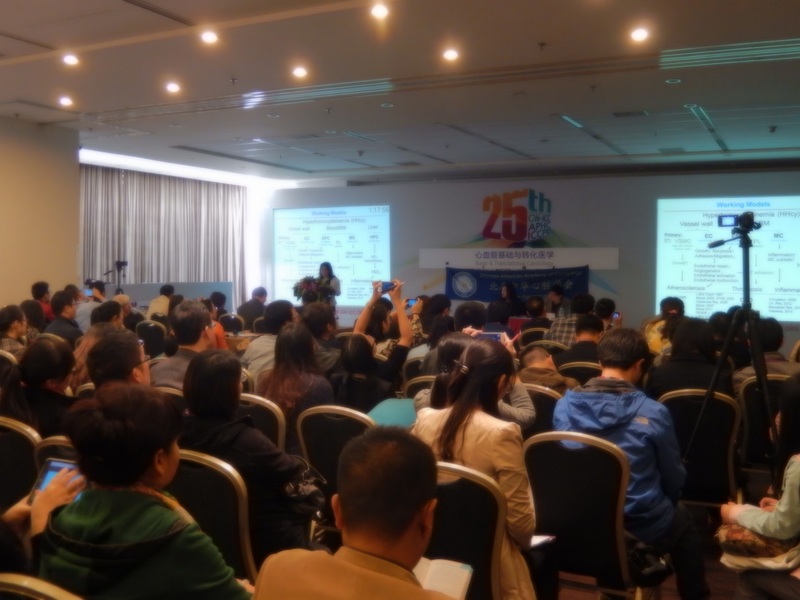 Invited session chair of CAAC delegation to the 25th GW-ICC (长城国际心脏病学会议), Dr. Shuping Ge (CAAC BOT co-chairman), is giving a lecture at the CAAC-GWICC research forum of “Prenatal and Postnatal Integrated Management for the Fetal Heart Disease (胎儿心脏病产前产后一体化管理论坛)” on October 17, 2014 at the China National Convention Center in Beijing, China. 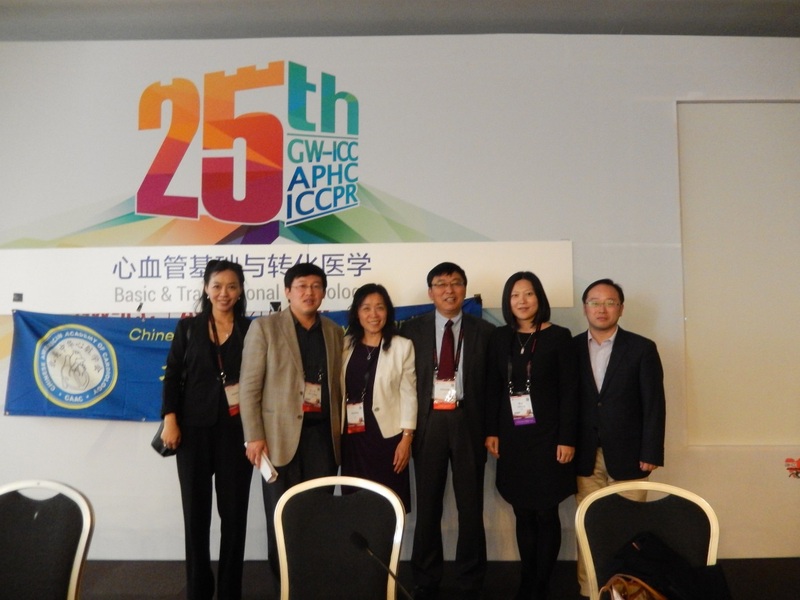 Invited speakers of the CAAC delegation to the 25th GW-ICC (长城国际心脏病学会议) on October 17, 2014 at the China National Convention Center in Beijing, China. From left: Drs. 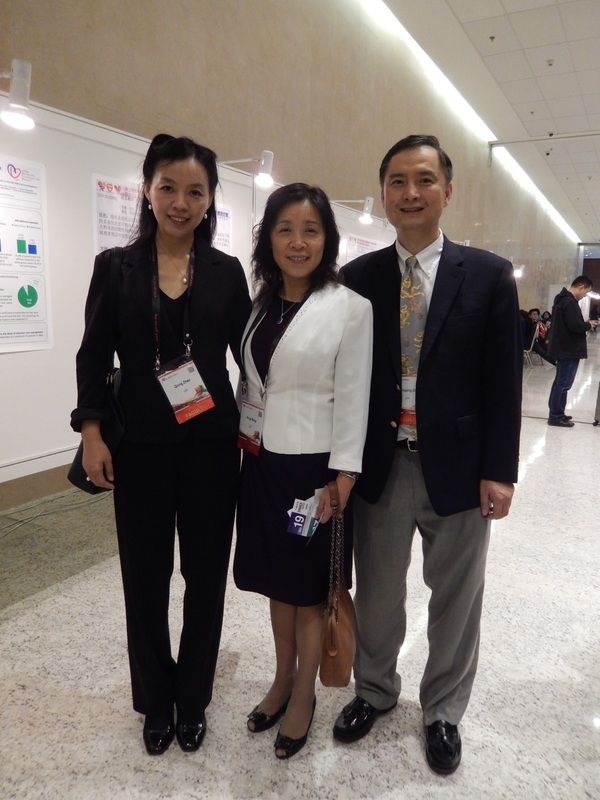 Xinliang Ma (CAAC research vice-president), Qiong (Joan) Zhao (CAAC clinical president-elect), and Shuping Ge (CAAC BOT co-chairman). 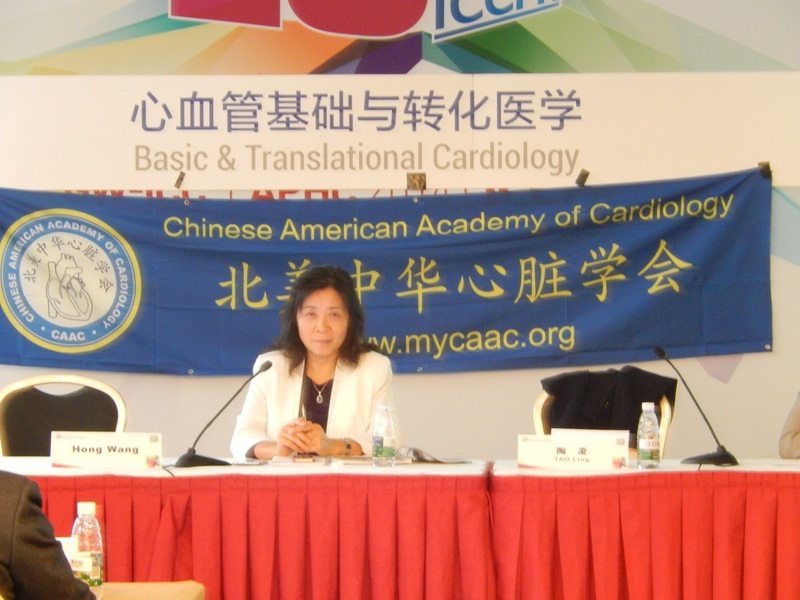 Invited speakers of CAAC delegation to the 25th GW-ICC (长城国际心脏病学会议) at the CAAC-GWICC research forum “Basic and Translational Cardiology （心血管基础与转化医学论坛） on October 17, 2014. From the left: Drs. Qiong (Joan) Zhao, 夏云龙 (Yunlong Xia), Hong Wang, Xinliang Ma, and 陶凌 (Ling Tao), etc. 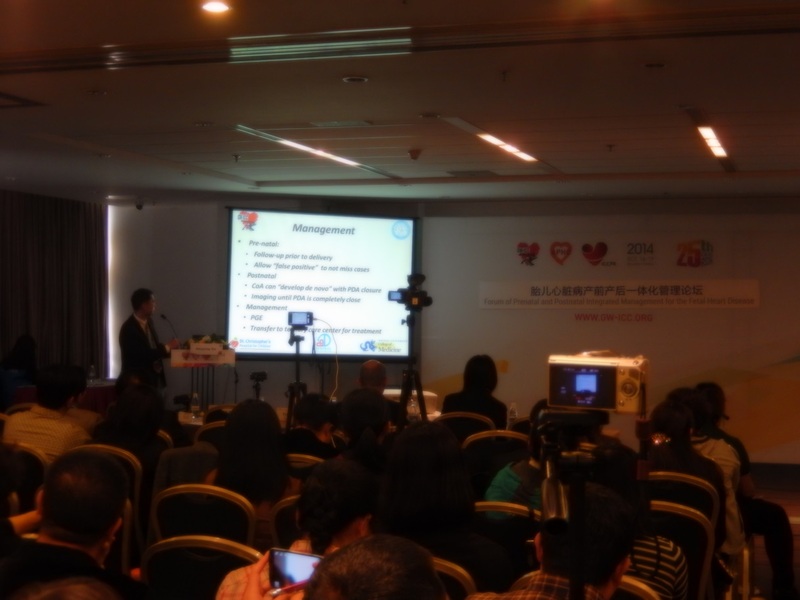 Invited speakers of CAAC delegation to the 25th GW-ICC (长城国际心脏病学会议) on October 17, 2014 at the China National Convention Center in Beijing, China. 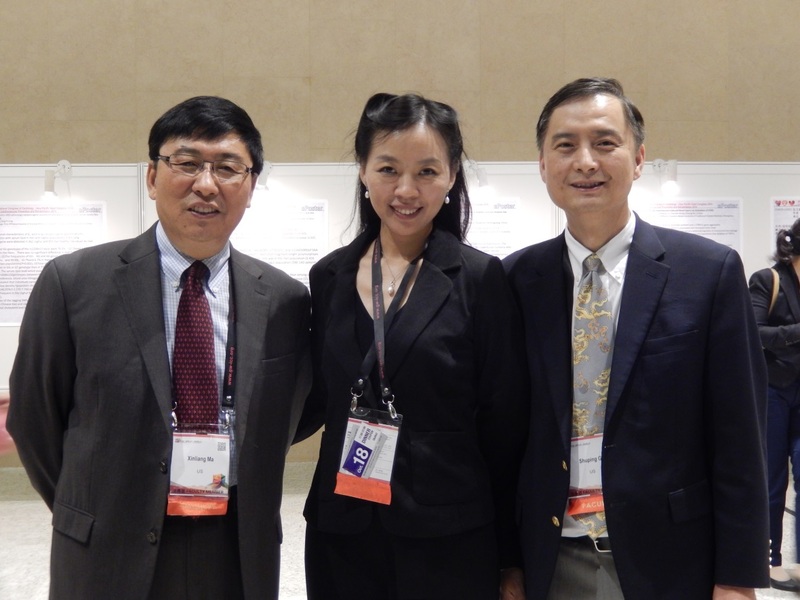 From left: Drs., Qiong (Joan) Zhao (CAAC clinical president-elect), Hong Wang (CAAC research president), and Shuping Ge (CAAC BOT co-chairman).